The Philippines in Southeast Asia is made up of around 7,100 Islands and on one of the Southernmost Islands, Mindanao, is a small community of 4,700 people named Bayugan 2. Thirty percent of the people here worry about having enough food to eat. Water is difficult to access and is only available for a portion of the day. Many families struggle to send their children to school. Without education, the cycle of poverty continues. In the face of all these needs they have spiritual questions such as what is the purpose for my life, does anyone care about me, and who is Jesus Christ? Bayugan 2 has challenges for all ages and genders, but the people here are some of the friendliest and warmest one will ever meet as well. We are committed to seeing community transformation through providing access to food freedom and forgiveness. When people experience the love of God that cares about their physical, social, and spiritual needs, it is transformational. They have the opportunity to grow in a life-long relationship with Him. Using an integrated approach and working alongside the people in our community, we can unlock the potential and purpose God has for the people of Bayugan 2. We focus on those who are invisible- people living in poverty, special needs adults, malnourished children, and families struggling to meet basic needs. 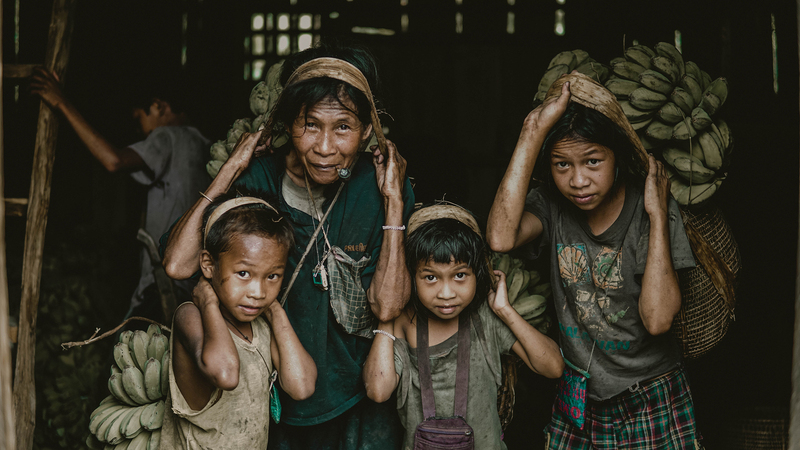 We want to see lives transformed so that people are able to break out of the cycle of poverty, provide for themselves and their families, and have life changing encounters with Jesus. We are working to create access to clean water, education, agricultural development, and livelihood initiatives. We have launched and after-school program that feeds malnourished children and provides additional tutoring to help them succeed in school. It also provides an opportunity to develop relationships where people both feel the love of Christ and hear about him. Student grants will provide access to education for impoverished children. Livelihood initiatives that include job training for disabled adults, and agricultural/livestock help families provide for themselves and address food insecurity. These all provide ways for the people to take pride in themselves, realizing who they are and what they have to contribute under Jesus Christ. Together we can see the kingdom of God breaking into Bayugan 2 so that no one is invisible and everyone will have access to food, freedom, and forgiveness.